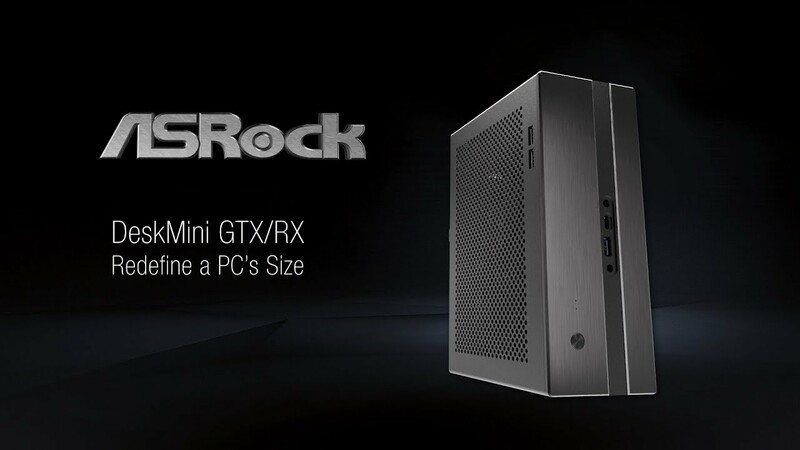 DeskMini GTX/RX features VERY small size and maximum hardware flexibility in 2.7 Liter. Select processor, memory, storage and MXM graphics to customize your DeskMini GTX/RX. Brand new DeskMini GTX/RX features with 5+1 phase to provide superior power for Intel® 8th Gen high end 6 Core processors. Boost mighty performance in 2.7L size. DeskMini GTX/RX adopts with new Z370M-STX MXM motherboard, to allow DDR4-3200+ (OC) memory speed! Superior memory speed provides faster gaming experience. DeskMini GTX supports discrete MXM graphics card. The rock-solid performance makes you completely immersive in the VR scenario. DeskMini GTX/RX is one of the most power-efficient in the PC market. It offers an idle power reduction of 40% and 28% in loading. *Testing result varies with hardware configuration. Tiny DeskMini GTX supports NVIDIA® GeForce GTX1080 for Gaming, AR/VR PC, and deep Learning. And it is a mini workstation with NVIDIA® Quadro cards as well. Through discrete MXM graphics card, you can build triple 4K@60Hz displays with three video outputs: HDMI, DisplayPort and mini DisplayPort. Triple of the world’s fastest PCIe Gen3 x4 Ultra M.2 slots that deliver up to 32Gb/s transfer speed, it also supports SATA 6Gb/s M.2 modules. New generation DeskMini GTX/RX adopts with 4 rear USB 3.1 Gen1 Type-A ports. Bring convenience to daily applications. Build your own colorful lighting system! ASRock RGB LED allows the user to connect LED strip and create their unique PC style easily. Aluminum MOSFET Heatsink provides great heat dissipation to ensure system stable in loading. And the dual PWM fan connectors for an extra cooling fan. - Micro STX: 5.8” x 7.4"